At Avalon Optics we all share a sense of adventure, an urge to explore beyond our daily surroundings. Avid bird watchers and nature enthusiasts already know this feeling well. We make it accessible to everyone by producing professional level binoculars and scopes at remarkably affordable prices. With facilities in the UK, USA and Australia we offer fast, free and reliable delivery. All our products include a 90-days money back guarantee and lifetime warranty. Planning your next adventure or just looking for a special gift? 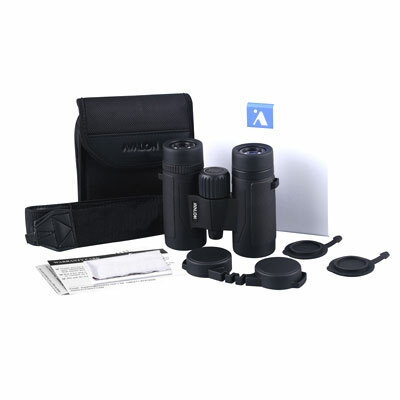 Avalon 10x42 PRO HD binoculars feature professional level optics and beautiful packaging. They are designed to impress. Planning your next adventure or just looking for a special gift? 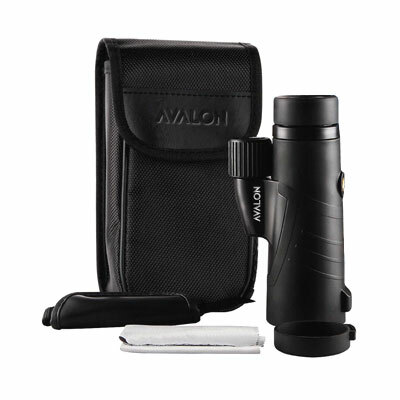 Avalon 8x32 Mini HD binoculars feature professional level optics and beautiful packaging. They are designed to impress. Planning your next adventure or just looking for a special gift? 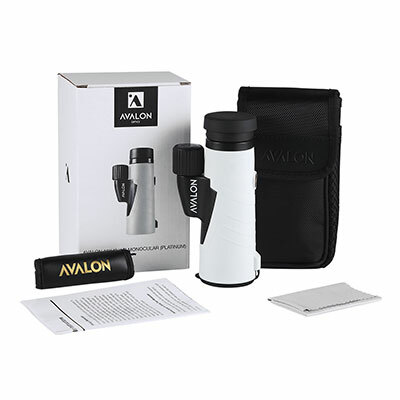 Avalon monocular features professional level optics and beautiful packaging. It is designed to impress. Avalon 10x42 PRO HD binoculars magnify at 10x times your normal eyesight. This is the ideal and most common magnification used in binoculars. View your subjects up close, in excellent detail, while avoiding any image shakiness or the need for a tripod. Avalon 10x42 PRO HD binoculars are fully multicoated on all glass-to-air surfaces. This allows for the highest level of light intake and results in brighter, crystal clear and razor sharp images. Avalon binoculars are easy to use. The central focus wheel allows you to quickly focus on subjects, either near or far. The single eye diopter can be set to adjust for differences between your right and left eye. It only needs to be set once for every user. Avalon 10x42 PRO HD binoculars are 100% waterproof and fog-proof. Internally purged with Nitrogen gas they are guaranteed to never fog up in extreme temperatures. The 42mm objective lenses produce clear bright images even when used in poor light conditions such as rain, fog, dawn or dusk. With a long 15mm eye relief and adjustable twist-up eyecups, Avalon 10x42 PRO HD binoculars can be used by any viewer. 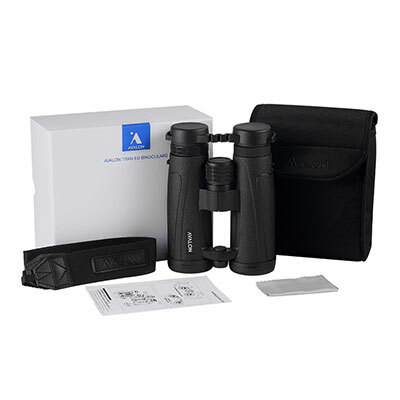 Pickup a pair of Avalon binoculars and experience enhanced magnified views, either with or without glasses. Avalon 8x32 Mini HD binoculars magnify at 8x times your normal eyesight. This is the ideal magnification for following moving subjects. 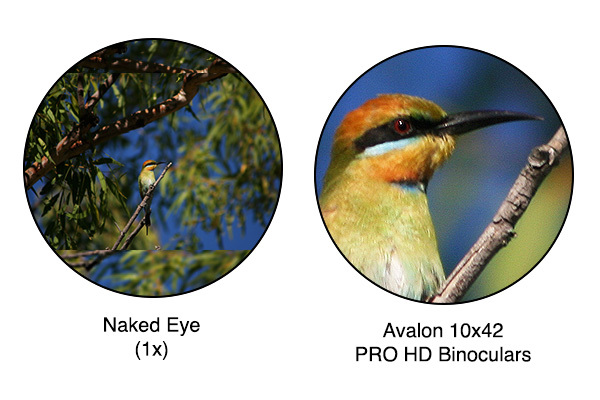 Their wide field of view makes them a perfect choice for bird watching, safari or following sporting events. The 8x power is also suitable for use onboard a ship or boat without experiencing image shakiness. 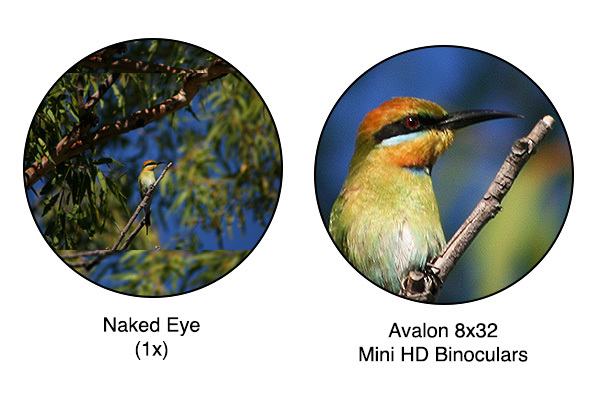 Avalon 8x32 Mini HD binoculars are fully multicoated on all glass-to-air surfaces. This allows for the highest level of light intake and results in brighter, crystal clear and razor sharp images. Avalon 8x32 Mini HD binoculars are 100% waterproof and fog-proof. Internally purged with Nitrogen gas they are guaranteed to never fog up in extreme temperatures. The 32mm objective lenses produce clear bright images even when used in poor light conditions such as rain, fog, dawn or dusk. With a long 15mm eye relief and adjustable twist-up eyecups, Avalon 8x32 Mini HD binoculars can be used by any viewer. 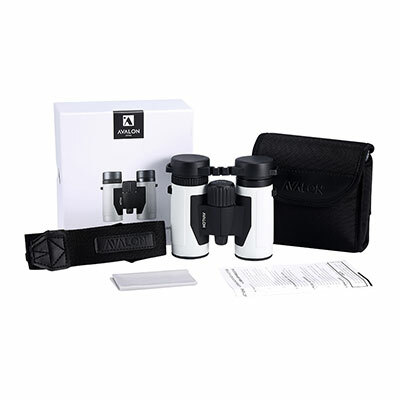 Pickup a pair of Avalon binoculars and experience enhanced magnified views, either with or without glasses. Avalon 10x42 WP monocular magnifies at 10x times your normal eyesight. This is the ideal and most common magnification used in monoculars. View your subjects up close, in excellent detail, while avoiding any image shakiness or the need for a tripod. 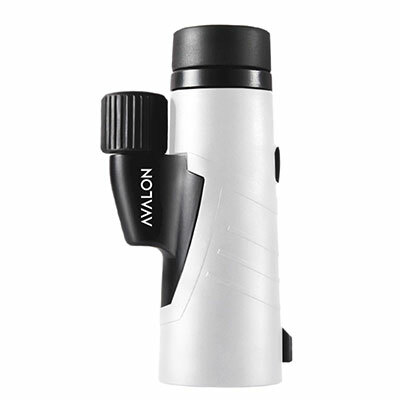 Avalon 10x42 WP monocular is fully multicoated on all glass-to-air surfaces. This allows for the highest level of light intake and results in brighter, crystal clear and razor sharp images. Avalon 10x42 WP monocular is 100% waterproof and fog-proof. Internally purged with Nitrogen gas it is guaranteed to never fog up in extreme temperatures. The 42mm objective lens produces clear bright images even when used in poor light conditions such as rain, fog, dawn or dusk. With a long 14mm eye relief and an adjustable twist-down eyecup, Avalon 10x42 WP monocular can be used by any viewer. Pickup your Avalon monocular and experience enhanced magnified views, either with or without glasses. This product is discounted today and offered at 20% less than its normal retail price. This product includes a lifetime VIP warranty. If it proves to be defective in material or workmanship, we will simply replace it. If you’re not satisfied with the quality of your purchase, for any reason, simply send it back to us in its original packaging within 90 days for a full refund or replacement. Say goodbye to bulky old binoculars. Avalon 10x42 PRO HD, weighing at only 550 grams, are the world’s lightest professional level binoculars. The perfect choice for birdwatching, safari, sports viewing, hunting or travel. Avalon 8x32 Mini HD binoculars weigh only 416 grams and fit in your jacket pocket, handbag or glove compartment. Small in size yet big on performance, they are ideal for hiking, birdwatching, boating, events or concerts. There is nothing more annoying than loosing small accessories. Avalon 10x42 PRO HD have their lens covers connected to the binoculars, so you never forget or loose them. They can also be removed from the binoculars and easily inserted back in again if needed. There is nothing more annoying than loosing small accessories. 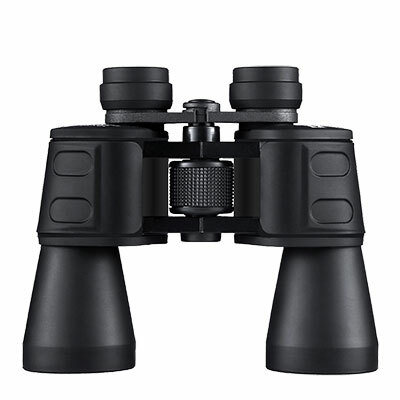 Avalon 8x32 Mini HD have their lens covers connected to the binoculars, so you never forget or loose them. They can also be removed from the binoculars and easily inserted back in again if needed. There is nothing more annoying than loosing small accessories. Avalon 10x42 WP monocular has its lens cover connected to the monocular, so you never forget or loose it. It can also be removed from the monocular and easily inserted back in again if needed. Planning your next adventure or just looking for a special gift? 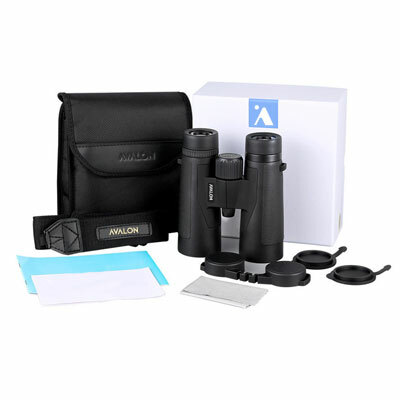 Avalon Titan ED binoculars feature professional level optics and beautiful packaging. They are designed to impress. Avalon 8x42 Titan ED binoculars magnify at 8x times your normal eyesight. This is the ideal and most common magnification used in binoculars. View your subjects up close, in excellent detail, while avoiding any image shakiness or the need for a tripod. Avalon Titan ED binoculars are fully multicoated on all glass-to-air surfaces. This allows for the highest level of light intake and results in brighter, crystal clear and razor sharp images. Avalon Titan ED binoculars are 100% waterproof and fog-proof. Internally purged with Nitrogen gas they are guaranteed to never fog up in extreme temperatures. The 42mm objective lenses produce clear bright images even when used in poor light conditions such as rain, fog, dawn or dusk. 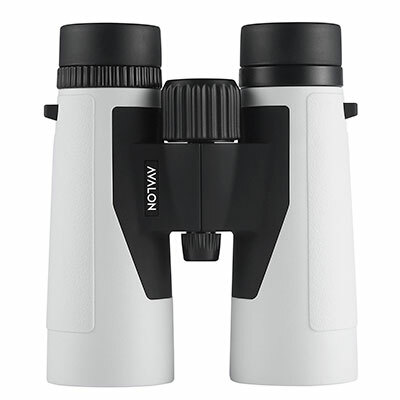 With a long 18mm eye relief and adjustable twist-up eyecups, Avalon Titan ED binoculars can be used by any viewer. 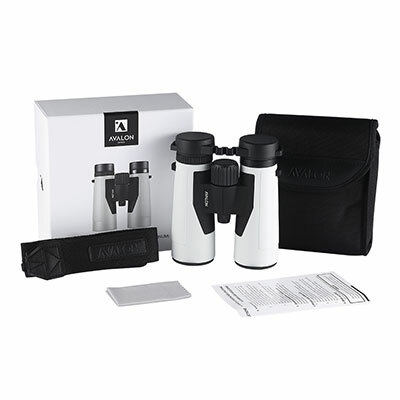 Pickup a pair of Avalon binoculars and experience enhanced magnified views, either with or without glasses. Avalon Titan ED binoculars boost a new open bridge design. Perfectly balanced they are the ideal choice for birdwatching, safari, sports viewing, hunting or travel. There is nothing more annoying than loosing small accessories. Avalon Titan ED have their lens covers connected to the binoculars, so you never forget or loose them. They can also be removed from the binoculars and easily inserted back in again if needed. 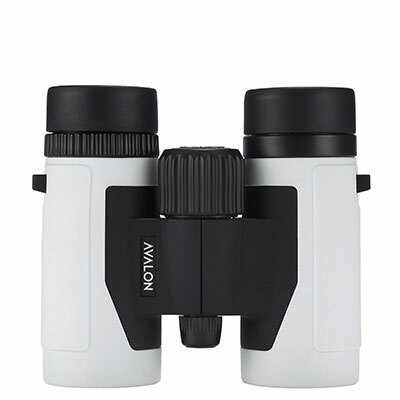 Avalon 10x42 Titan ED binoculars magnify at 10x times your normal eyesight. This is the ideal and most common magnification used in binoculars. View your subjects up close, in excellent detail, while avoiding any image shakiness or the need for a tripod.